Moscow July 12 (IANS) Croatia defender Domagoj Vida has apologized to Russia for saying "Glory to Ukraine!" after his country s World Cup quarter-final win over the hosts last week. Vida has been in the spotlight ever since he was heard in a video which saying "Glory to Ukraine!" The slogan became associated with anti-Russian Ukrainian nationalists amid the 2014 political coup in Kiev which brought down the country s elected president and prompted pro-independence movements in the east of the country as well as Crimea s decision to re-unite with Russia reports Sputnik news agency. 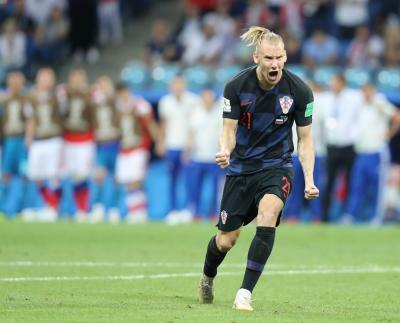 During Croatia s semi-final win against England on Tuesday Vida was booed and whistled every time he touched the ball at the Luzhniki Stadium. "I know that I made a mistake. I didn t do it on purpose. I would like to apologize once again to the Russian nation " the 29-year-old said. The Besiktas defender added that his side had a very difficult game against England as the Croats won 2-1 in extra-time. "There is one more game ahead " he said promising that the team would play for the people of Croatia and do their best to win.